Autumn has arrived and the trees surrounding our allotment are busy littering our neglected veggie beds and adjoining pathways with their crispy detritus. It’s a tidy-up task we rarely relish, but having recently conducted both rake and brush product reviews for the Indy Best, and currently testing Stihl’s new cordless Kombi engine (complete with leaf blower attachment), we are properly tooled up to conquer this annual leafy intrusion. First we’ll herd the pesky leaves into a huge pile, from which we’ll make some nutritious, humus rich compost for next year’s plants. 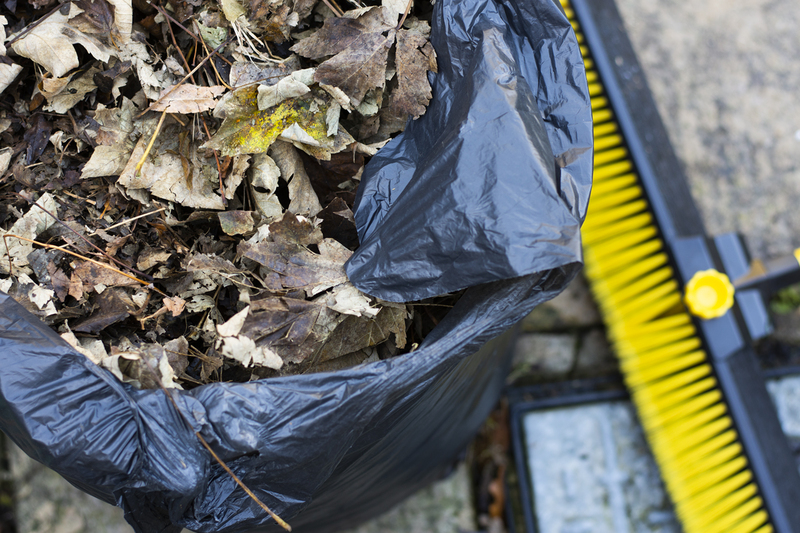 Stuff your gathered leaves into a large bin bag (or bags). Give the bag of leaves a soaking from your trustiest watering can, prod some holes in the sides of the bag, then tie the bag shut to stop leaves jumping out and running away. Leave your leafy bags in an out-of-the way place in your garden and WAIT. Your leaves will rot down into a rich, crumbly mixture – a process which will take around 12-18 months. To speed things up a little, run the leaves over with a mower before bagging and you’ll be flinging lovely leaf mould around within 6-8 months. If you can’t bear the wait, you can always use your collected leaves as a garden mulch. Give them a good soaking to help weigh them down and pack them around your plants to keep them warm overwinter whilst discouraging weeds to join the battle for soil space. For the even lazier, just let your pile of leaves be. A decent pile of leaves in an out-of-the-way place will be much appreciated by garden wildlife, acting as an insect larder and a warm place to kip during the cold winter nights. * Be wary of drive-by dog attacks. The post How to make leaf mould appeared first on Two Thirsty Gardeners.